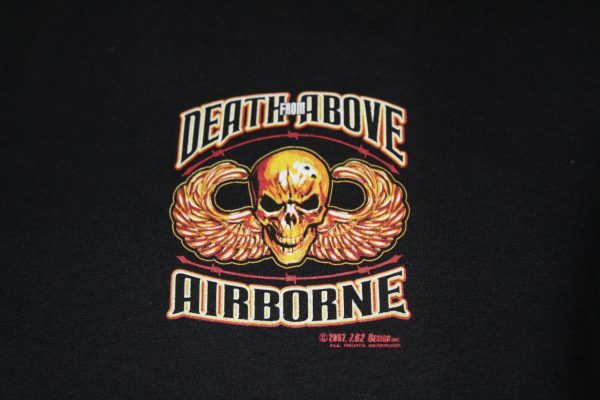 The Airborne Death From Above T-Shirt is a two sided print in black. 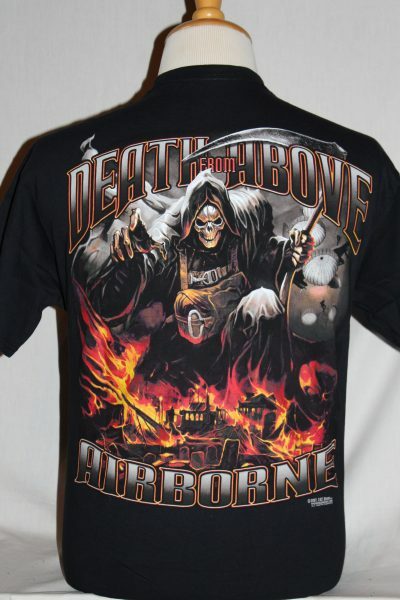 Front Design: Small left chest image is of the Airborne symbol with text. 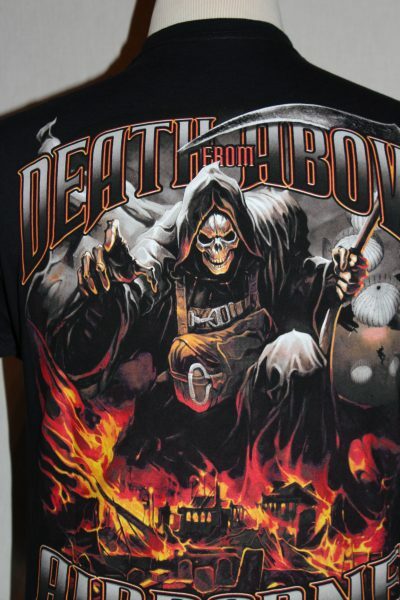 Back Design: Displays the Grim Reaper, parachutists descending, text, and a flaming battle scene.